If you are looking to rent a car in London, then the Mercedes A180d is a great choice for your car hire journey. It is a classy hatchback which is packed full of technological features and is a great drive. 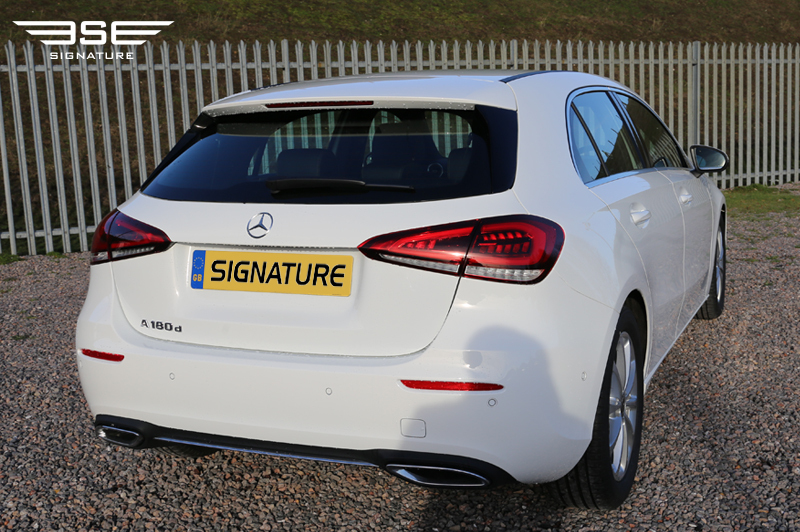 This premium model is now available on a self-drive hire basis in the UK with Signature Car Hire. 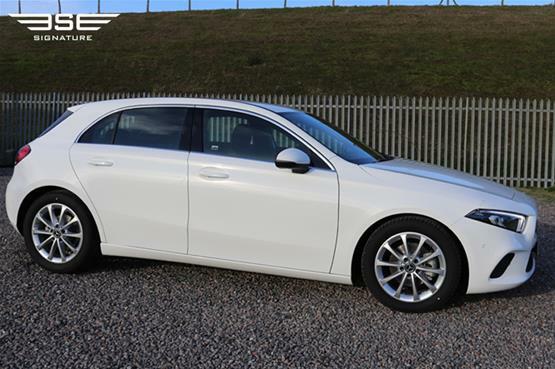 The new A-Class has been re-designed and has a different look and appeal. 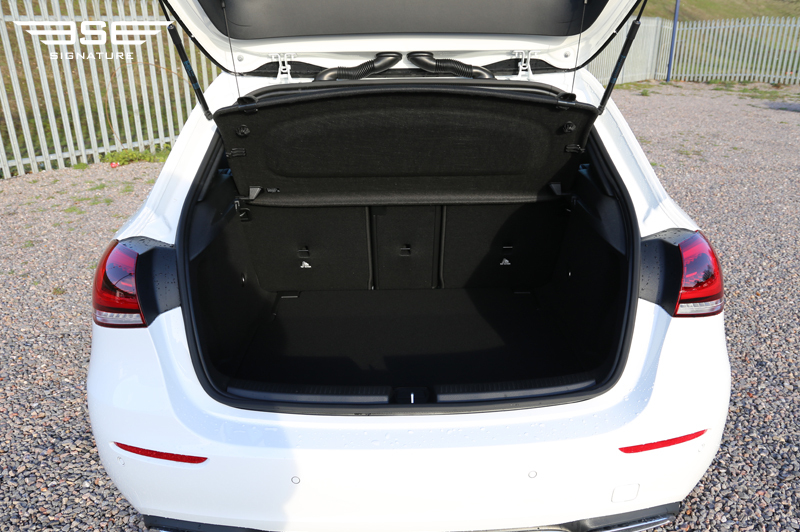 It sits on a revised platform and features an all new interior with bags of technical features and a generous engine. 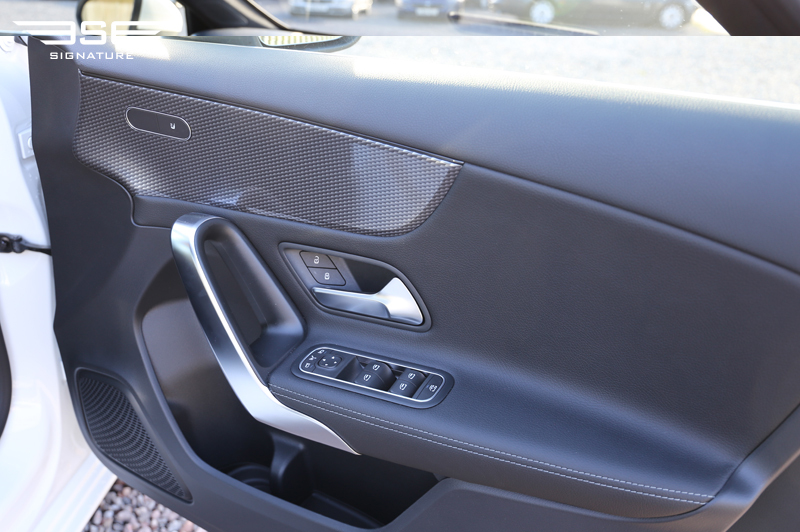 The exterior has had a sleek re-design too which improves the cars aerodynamics and efficiency. The car is lighter, 100kg from the kerbweight according to Mercedes, while the cooling systems are so effective that the double shutter grille can remain closed throughout the winter months. The trim level on this model is impressive. 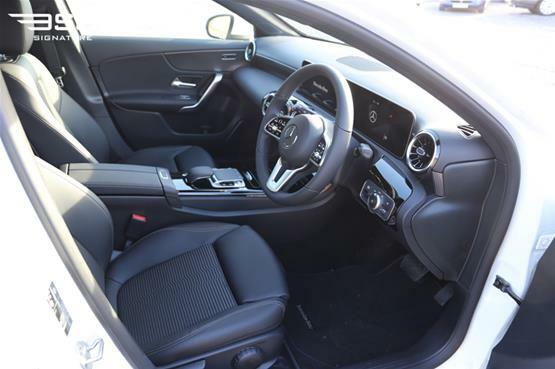 It comes with the Mid-rung Sport trim, which is over and above SE trim, which means you’ll benefit from showing off the attractive 17in alloy wheels and more powerful LED headlights and enjoy the dual-zone climate control. 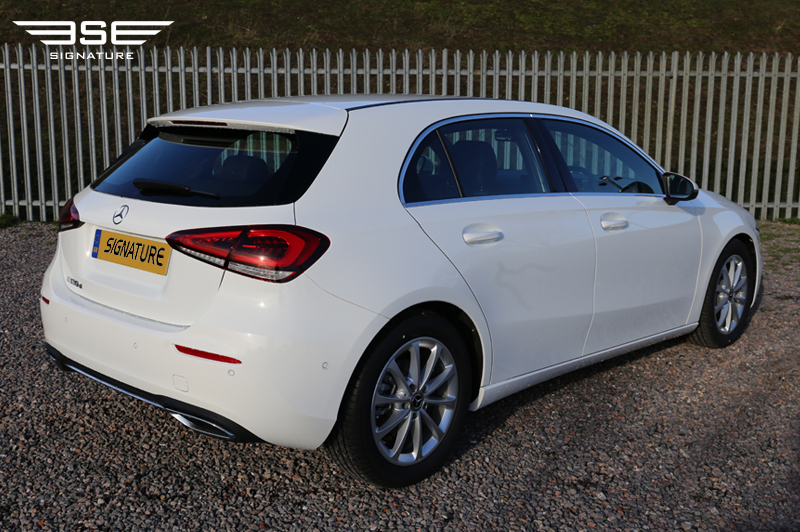 This sport package comes with various styling enhancements, ensuring you arrive in style when you rent this hatchback in the UK. 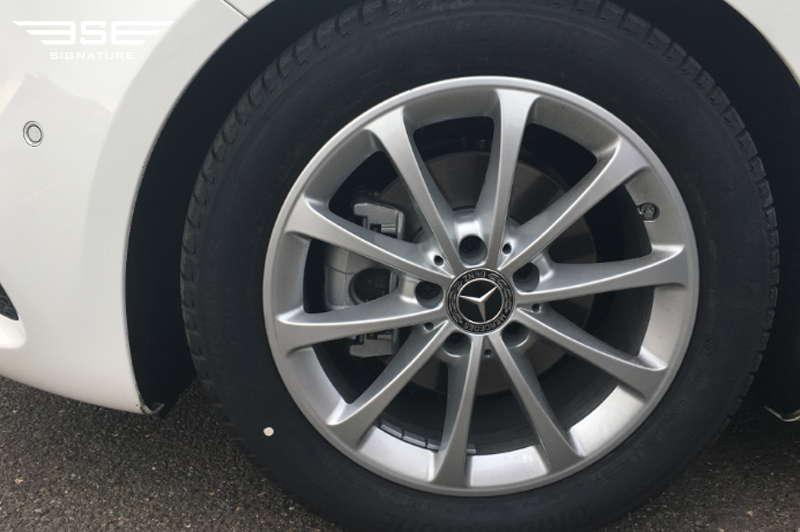 Our new Mercedes A-Class hire car is a premium family hatchback car that ticks all the boxes for a those looking for a spacious rental car that is easy to drive and user friendly for multi passengers. 0-62mph acceleration which takes 10.5sec. 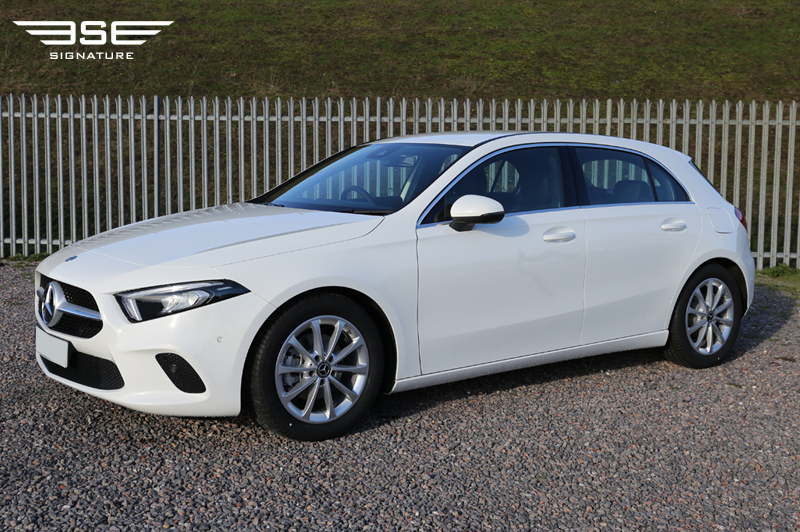 Unlike some diesel engines, it delivers its power progressively rather than in one big rush as the turbocharger kicks in ensuring your self-drive hire rental is smooth, effortless and quiet. 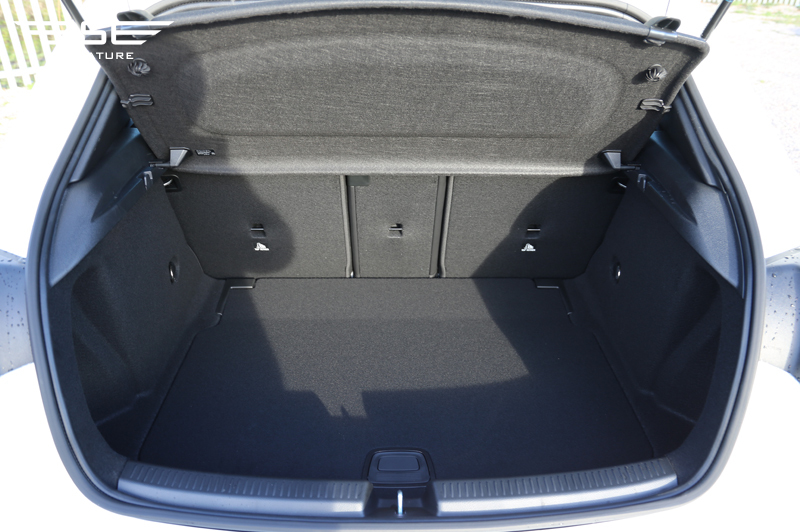 This model has been designed with the driver in mind, great for UK rental car drivers. 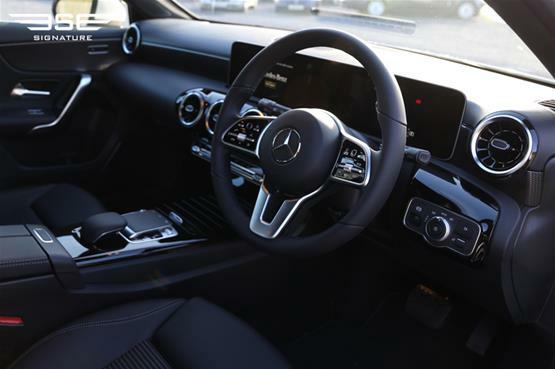 The A-Class is unrecognisable from previous models when you are seated behind the wheel; sit back and check out the digital dials and a wide central touchscreen which come packed full of technical features and advanced software. 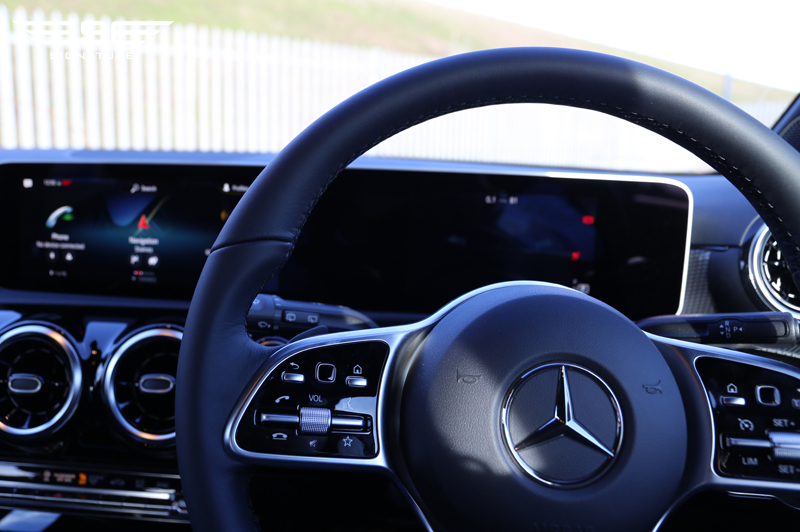 On your car hire journey, you’ll enjoy the augmented-reality navigation, which overlays images from the car’s camera with direction arrows, street names and house numbers which are activated as you approach junctions. 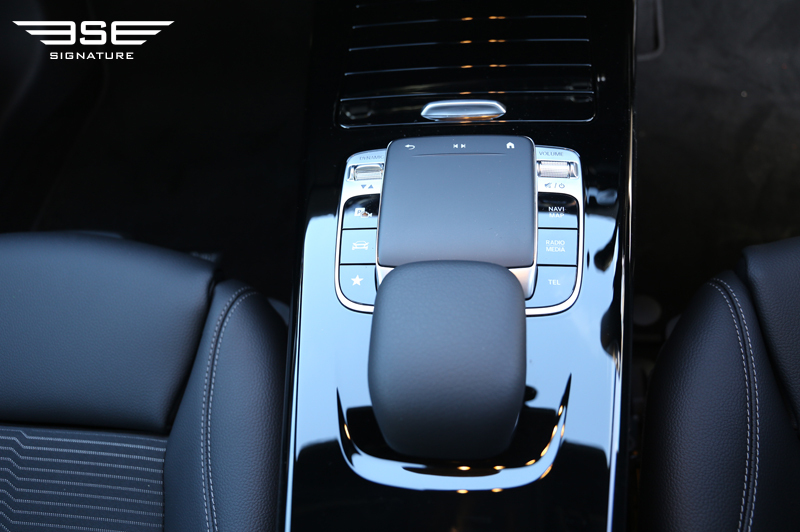 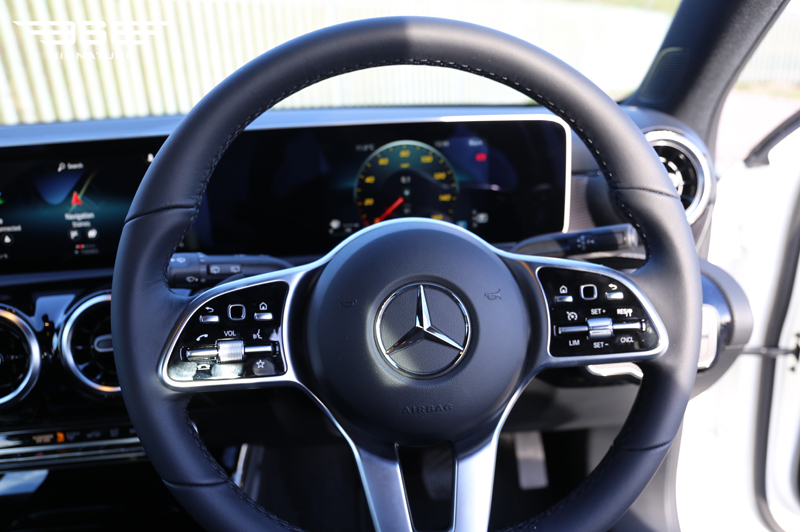 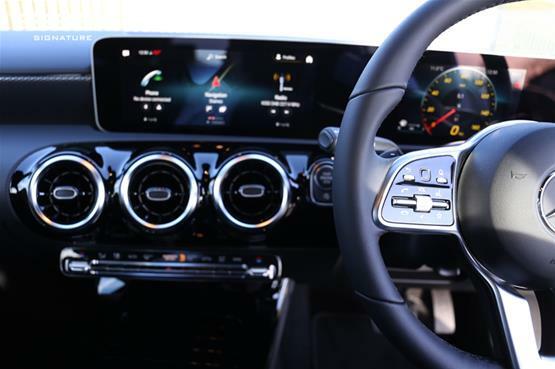 If you love gadgets, then look out for the Mercedes-Benz User Experience (MBUX) which features the voice-activated ‘Hey Mercedes’ system which allows you to adjust the climate control and ambient lighting or ask for the weather forecast without taking your hands off the wheel. 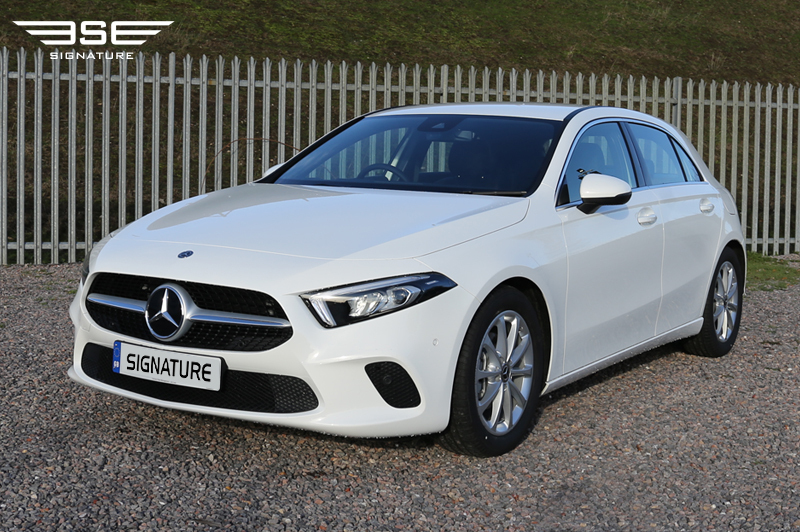 If safety is top of the list on your car hire rental, then this car ticks all the boxes its latest accident mitigation technology, Active Brake Assist and Lane-Keeping Assist. As you would expect from Mercedes thee quality of this rental hatchback is impressive. 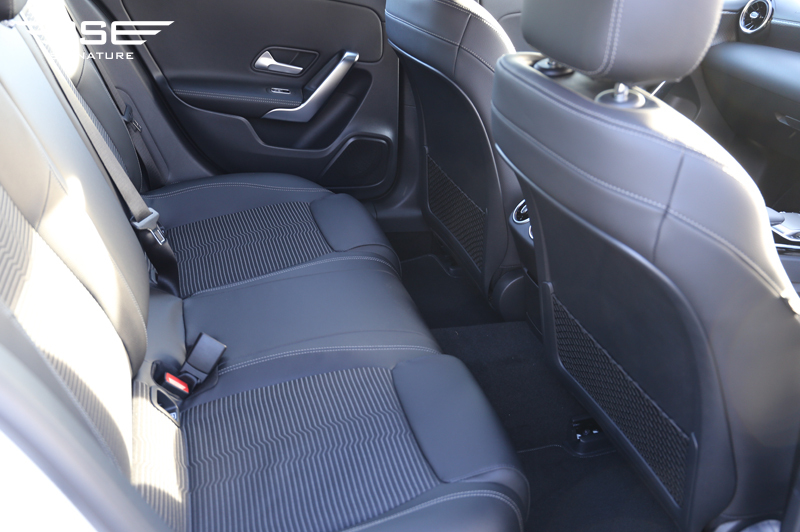 Relax against the mix of fine metals, plastics, wood and leather surpasses most cars in its class. 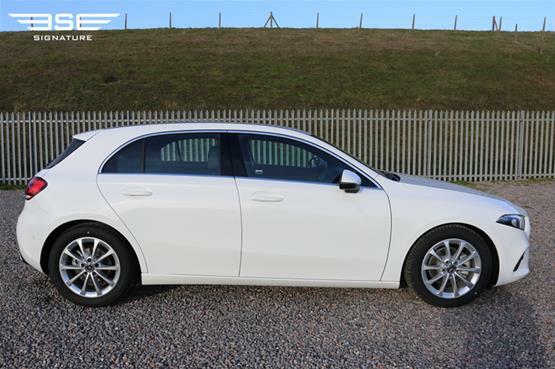 If you are looking for a luxurious but spacious car rental vehicle then this is the model for you. 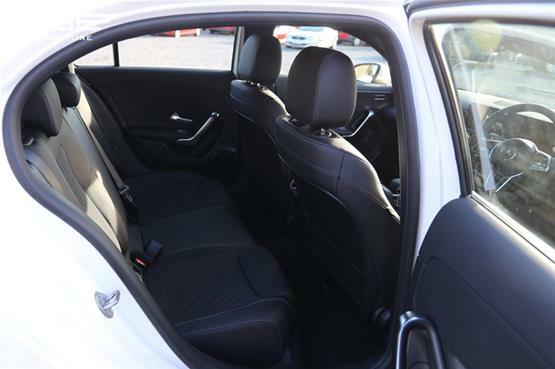 This rental car will offer you a steady cruise on the motorway that is quiet, stable and poised always. 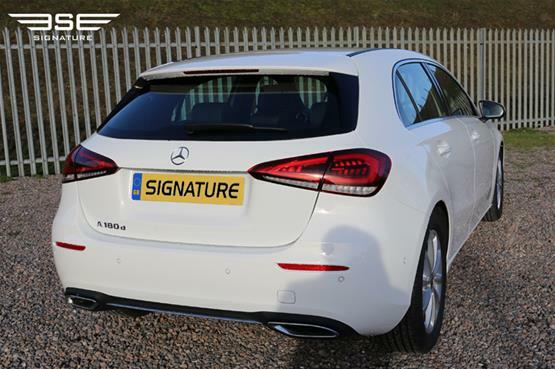 To rent Signature’s Mercedes A180, call us today on 02047 118 2244 or get a quick quote on-line.